Mollie Anderson is a native of Huntsville, Alabama. She graduated from the University of Alabama in December, 2013 with a Bachelors of Arts in Criminal Justice and a minor in Human Development. While studying at the University of Alabama, she was an avid volunteer for the READ program and a member of the Zeta Tau Alpha sorority. In May 2017, Mollie graduated from Cumberland School of Law, Samford University. While in law school, Mollie participated in numerous negotiation, mediation, and arbitration competitions and was a member of the Arbitration team during her second year. She made the Dean’s List five semesters and received the Scholar of Merit award for the highest grade in Contracts II. 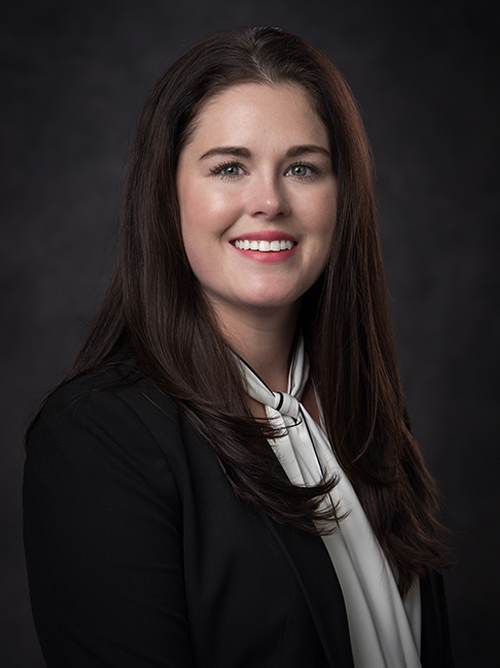 Prior to graduation, Mollie gained invaluable experience working as a law clerk for the General Counsel of the Caribe Resort in Orange Beach, Alabama; the Department of Children’s and Families in Pensacola, Florida; and the prestigious plaintiff’s firm, Burke Harvey. During her third year of law school, Mollie gained invaluable courtroom experience through her participation in a Judicial Observation Program with the Honorable Laura Petro, Jefferson County Circuit Court, Criminal Division. Mollie is a member of the Alabama State Bar and the Huntsville-Madison County Bar Association.